Aesthetics practitioner Chan Kok Weng's 1962 Porsche 356B S-90 Coupe is a head turner. It is outside his home in the east of Singapore and almost everyone - driver and pedestrian alike - slows down for a second look at the silver classic. The 356 is the very first Porsche car and the direct ancestor of today's 911. He has quite a collection of wheels, including a Ferrari 458 Spyder and a Rolls-Royce Phantom Drophead Coupe. But the 56-year-old Porsche is the 48-year-old's favourite. "I would drive it every day if I could," he says. "But the classic car registration restricts me to just 45 days of driving a year." "I bought it in mid-2016 at an auction in the UK," he says. 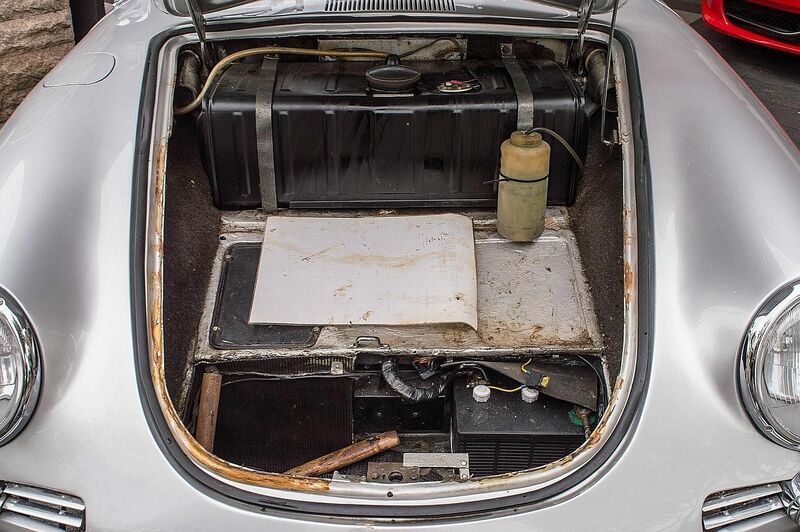 "I had to get certification from Porsche to prove the car is an original Porsche - to satisfy the Land Transport Authority," he says, noting that some old cars do not have chassis numbers on them. He had not even started up the car once "until it arrived in Singapore", he adds. "What a relief when it did." He has little knowledge of the car's past. "Nobody knows about its history, only that the previous owner was also a doctor." "I had to source parts from all over the world," Dr Chan recalls. "The engine has been rebuilt with new seals and carburettors, which I managed to source from the US. The brakes, bushes and clutch have also been replaced." "You cannot just set off like in a modern car or you will run into problems," he says. "Cars were more special back then," Dr Chan says. "The smell of the fuel, the wind in your hair, the way you have to tickle the throttle." He had a modern Porsche 911 before, but says the 356B S-90 Coupe "is nothing like its descendant". "There is no traction control and in wet weather, you can feel the weight shift and the tail starts to come out," he says, referring to Porsche's one-time reputation for making rear-engined cars with a tendency to spin. "But if you treat it with respect, it is a fast and enjoyable car." Married with no children, the petrolhead has a parting shot: "People think classic cars always break down. But if you rebuild them well, they can be reliable like any other car." Dr Chan admits that owning a classic can be an expensive hobby - he bought the Porsche for about $500,000 - even if many appreciate in value over time. "That's irrelevant though. I will never sell mine," he declares with a smile. What's in the boot (in front)?